ESET 2017 comes with Internet Security and your System Security from threats and viruses with new advanced technology. It is very light to your system with fast scanning and strong protection. ESET 2017 promises its users for better performance and anti-threat support. 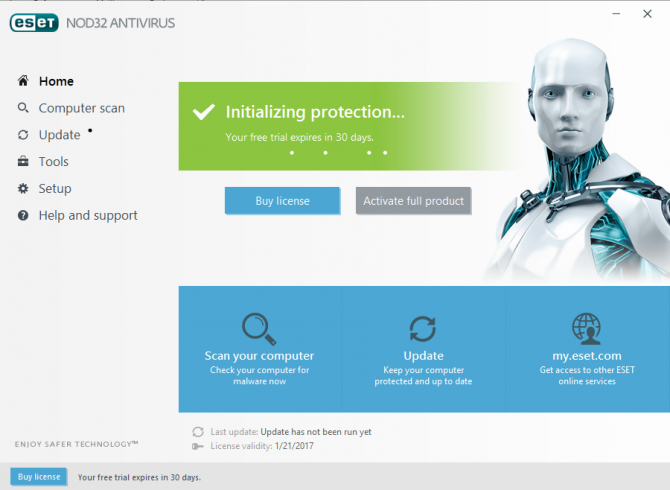 All the Offline Installer Links for ESET 2017 Products are provided in this article for user’s ease so that they won’t need to be connected to the Internet for these installations. Just go through the features of its all products and choose one for your own use and install it through its easy Offline Installer. This is ESET 2017 NOD32 Anti-virus which has stronger power to fight for your system in against of viruses and malware. This has following new features. It has Antivirus and Antispyware. It has small System Footprint. Free support in Local Language is also in this release. Its trial period is for 30 days with money back guarantee. If you want to sue it more you need to go for its license which is $39.99 per year for one device. This is ESET 2017 Internet Security which provides you secure browsing and downloading over the Internet. It has following features. It has Antivirus and Anti-spyware. Web cam Support is present in it. Its trial period is for 30 days with money back guarantee. If you want to sue it more you need to go for its license which is $59.99 per year for one device. This is ESET 2017 Multi-Device Security which is used for commercial purposes. It is used for many devices at a time It has following new features in it. The Script-Based Attack Protection is also added. Banking and Payment protection is available. Protection for multiple devices feature is included in this. Its trial period is for 30 days with money back guarantee. If you want to sue it more you need to go for its license which is $84.99 per year for 6 devices. 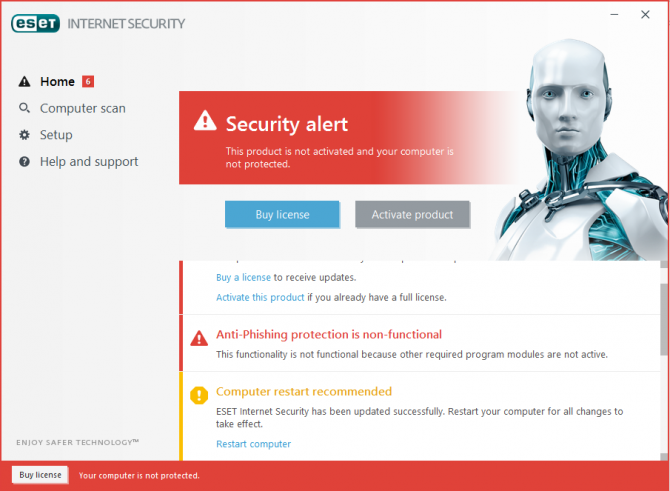 This is ESET 2017 Premium Security which is used for commercial purposes. It has following features in it. Its trial period is for 30 days with money back guarantee. If you want to sue it more you need to go for its license which is $79.99 per year for one device. These all are Offline Installer links for ESET 2017 Products. You can install them reliably and securely. I thought this was an offline version, turns out it isn’t so, I wanted a free trial. My PC runs windows XP, no internet connection. Thanks anyway, just a waste of time.